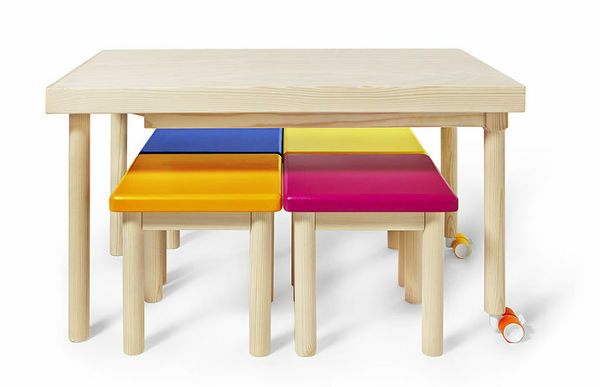 Come and take a look at this gorgeous children’s table which harbours a very clever secret. 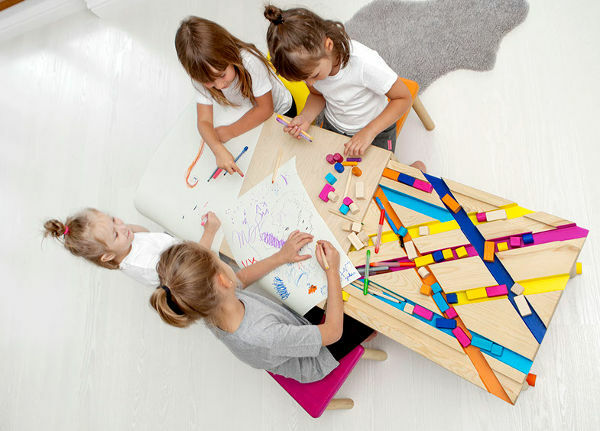 Form and function are very comfortable bedfellows when it comes to the Bawa children’s table. With its simple design the table and chairs look great in their traditional guise. But with a little adjustment the set becomes so much more. 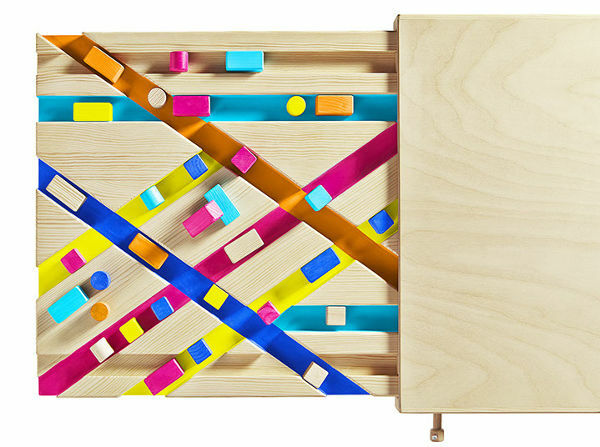 Inside the table is hidden a series of colourful, connecting corridors that house blocks and whatever else your kids may choose to hide. 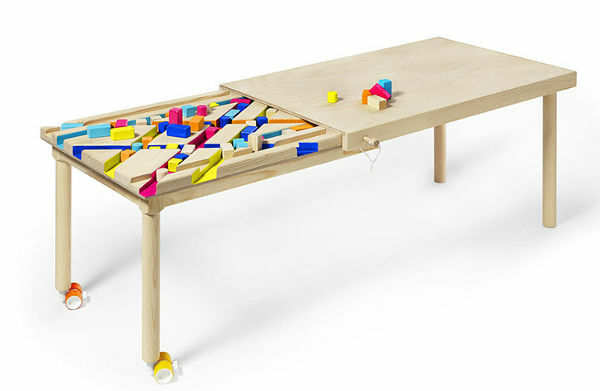 Just slide the table top back and it once again becomes a traditional table and chairs. Made from raw pine and plywood, two of the legs have rubber furniture casters that can be locked, to assist with bringing the table to life. 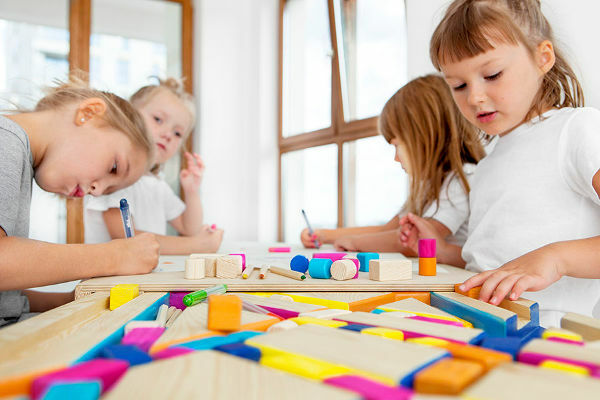 Made in Poland, the length of either 137cm open, to 84cm closed is great for a small group of children. 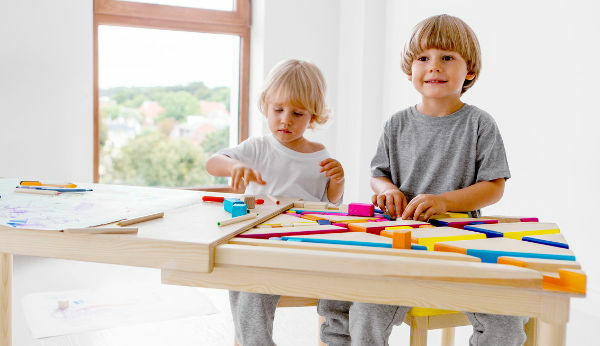 Designed for children aged over three, the Bawa table is wonderful on so many levels – play and exploration for the kids, and keeping a stylish and tidy home for parents! 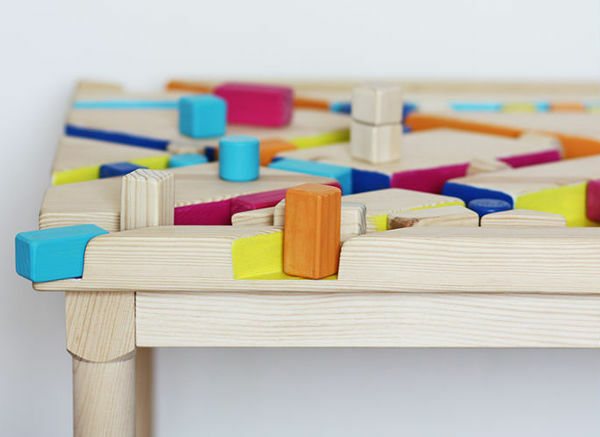 The Bawa table costs €645 and is available from The Interior Design – which does ship to Australia.